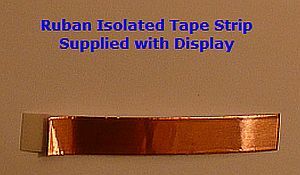 3) ONE (1) MAGELLAN "RUBAN INSOLATED ANTI-STATIC TAPE" TO PROTECT THE DISPLAY SCREEN FROM STATIC ELECTRICAL SHOCK. Have You Joined the ExploristForum.com forum? The forum is owned and operated by Jungle Ghost Enterprises. Our Forum uses the Google Universal Translator which can accommodate over 100 languages for our Worldwide Visitors. It is dedicated to Magellan users of the Explorist X10 and Triton Handheld GPS customers Worldwide. If you haven't joined please do (Its Free!). Here you will find over 880+ members, who are also Triton GPS and Magellan Legacy (XL, etc.) users. Our members are eager to assist you with topics ranging from how to chose the best X10 to purchase, problems "Uncovered" with the X10 units, glitches and bugs, how to fix them and more.